GCSE results across England, Wales and Northern Ireland this year have suffered a significant fall. This is in marked contrast to last week's A-Level results, which showed a great deal of stability when compared with recent years. GCSE results peaked in 2011 after a long period of "grade inflation", and have been falling year on year ever since. Of the five million results being released today, the proportion of entries being given A* to C grades has fallen from 69% to 66.9%, an unprecedented fall of 2.1%. The proportion of top A* and A grades was down overall by 0.9% to 13%. Awards of the very top A* grade have also fallen slightly, down from 6.6% to 6.5%. One reason for the fall in the overall pass rate is that more pupils in England are re-taking GCSE English and maths, following measures by the government to attempt to ensure that all pupils reach a grade C in these subjects. 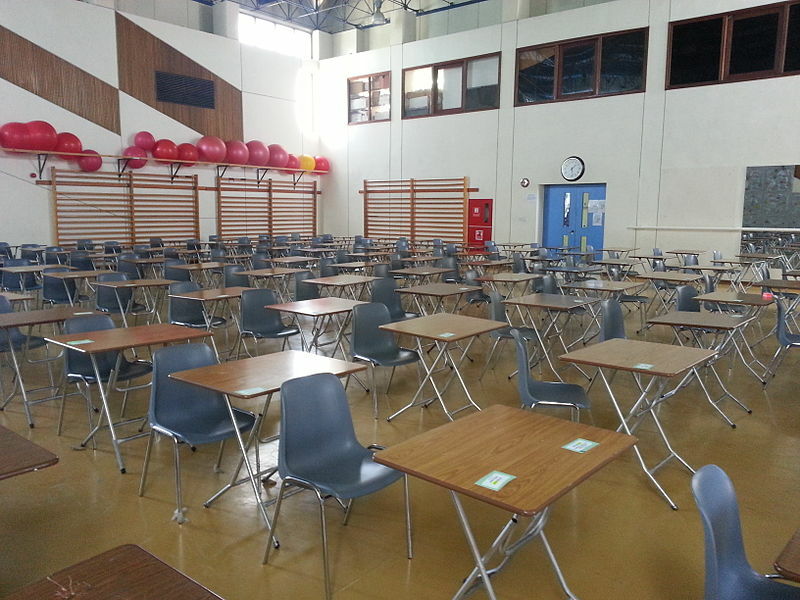 As a result there were re-sits for tens of thousands who did not reach a C grade last year. Among over 16s, GCSE entries were up by 380,000, up roughly 25% on last year. By subject, there were falls in the pass (A*-C) rate in maths (down 2.3%), English (down a worrying large 5.2%) and in other subjects. But even without the re-sit figures, there was a fall in the results of 16 year olds, with the proportion getting A* to C falling by 1.3%. 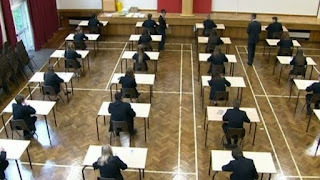 It is thought that a move to an alternative qualification, the iGCSE, for many able students, may account for some of the drop. While the overall results were downwards, in Northern Ireland the proportion of passes increased slightly to 79.1% and top A* grades rose to 9.3%. In Wales, the level of A* to C passes remained at 66.6%, with A* grades rising slightly to 6.1%. Girls continue to do better than boys at GCSE. The A*-C rate for girls was 71.3% compared with 62.4% for boys, a gap some would describe as worrying, or even unacceptable. The percentage of entries gaining A* grades for girls was 7.9% and 5.0% for boys. Next year will start to see the phasing in of a radical change to the way that GCSEs are graded. The new GCSE exams will be graded from 1 to 9 (with 9 the highest), rather than the current A* to G.